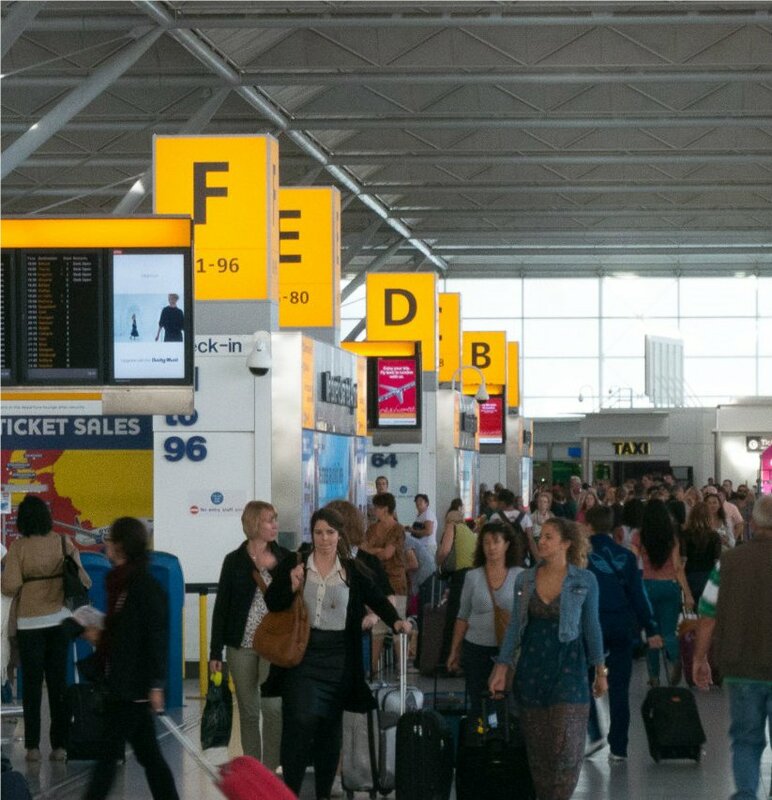 London Stansted is the fourth busiest airport in the country (after Heathrow, Gatwick and Manchester Airport) and is one of the main bases for low-cost carriers in Europe; making it a popular holiday departure point for families and friends travelling locally. Due to this airports popularity travelling there can be difficult and unforeseen traffic and congestion can lead to missed flights and ruined holidays, at TC Cars we are here to help you. Although London Stansted is not one of the two main airports in London, it is still one of the UK’s main airports. Our Birmingham to Stansted Airport taxi service will transfer you and your family on-time and safely straight to Stansted. Stansted in located near the Hertfordshire border in Essex, which is quite a journey away from Birmingham. Our London Stansted airport transfers will make sure you arrive with plenty of time to spare. Call 0121 770 2000 to book your London Stansted taxi today. London Stansted airport is provides flights to destinations all over the globe, often the passengers are families with young children. To ensure we meet your standards and make you and your family comfortable, all of our drivers have an NVQ Level 2 in Customer Services with drivers also attending a Safeguarding of Children course. Stansted is the largest base for Ryanair, a popular low-cost airline. Many flights from Stansted depart for various destinations across Europe and North and Central America. TC Cars’ London Stansted taxi service will transfer you and your family safely. Each one of our drivers has an NVQ Level 2 in Customer Services with drivers also attending a Safeguarding of Children course. Call our team on 0121 770 2000 today and speak to one of our team about your Stansted taxi needs.